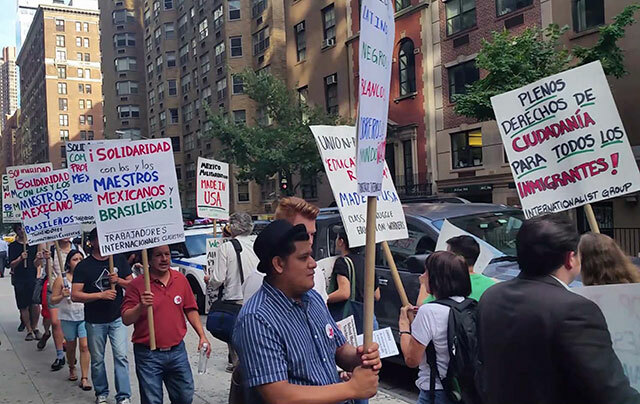 On August 12, Trabajadores Internacionales Clasistas (Class Struggle International Workers) was founded in New York City. The TIC set as its central task winning the most conscious immigrant workers to the program of internationalist class struggle, not only fighting for labor and immigrants rights but also encompassing the major issues confronting workers and oppressed sectors today. It is similar to other “transitional organizations” including Class Struggle Education Workers in New York and Class Struggle Workers – Portland, which work together with the Internationalist Group. Like them, the TIC aims to be an organization of study and struggle, growing out of the IG’s regular weekly Spanish-language study group, work in union organizing campaigns and mobilizations in solidarity with Mexican teachers and against racist cop terror, from Ayotzinapa to police murders of black people in the United States. Since it was founded in 1996, the Internationalist Group, U.S. section of the League for the Fourth International, has set as one of its key priorities winning immigrant workers to the politics of Lenin and Trotsky for international socialist revolution. The first leaflet issued by the IG was for full citizenship rights for all immigrants, distributed at an immigrants rights demo in the fall of 1996 in Washington, D.C. Early on, the Internationalist Group cohered a core of immigrant Trotskyist worker cadres that is unique on the U.S. left. All had previously been active in efforts to organize immigrant workers. In November 2001, amid the xenophobic war frenzy following the 9/11 attacks, we initiated a united-front demonstration opposing the attempt to purge undocumented immigrant students from the City University of New York by sharply raising tuition. Partly as a result of this protest, the anti-immigrant tuition hikes were largely rolled back. 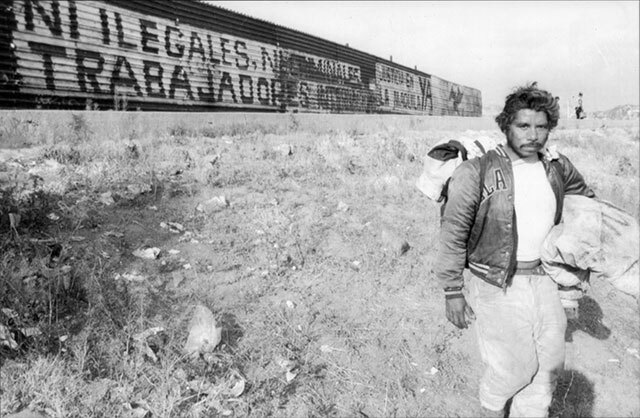 Over a number of years, the IG supported day laborers against police harassment, were subject to anti-communist exclusion from “immigrants rights” demos for our criticisms of the Democratic Party, participated in struggles to stop provocations by the fascist immigrant-bashing Minuteman group seeking to set up shop in NYC, brought immigrants to Black Lives Matter demos and were active in unionization campaigns at Hot and Crusty, B&H and several other locations. One theme repeatedly emphasized in the IG’s work with immigrants is the centrality of the fight against black oppression to revolutionary struggle in the United States. Other founding members of the TIC participated in the nationwide strike by immigrant workers on May Day 2006. Immigrant women workers in the TIC were active in the protests over the disappearance of the 43 Ayotzinapa students. Participating in the IG study group aided in deepening understanding by reading important Marxist texts and discussing current events. The TIC can play an important role in struggles of immigrant workers, a huge, potentially militant but largely unorganized sector of the proletariat. In New York City alone there are an estimated half million undocumented residents, overwhelmingly workers, and over 3.5 million immigrants overall: some 40% of the city’s population is foreign-born. They work in the lowest-paid, most dangerous jobs, living under the spectre of being detained and deported at any time, and are a constant target for reactionary attacks. Today they face an election (in which they cannot vote) between Republican Trump, a crazed anti-Arab, anti-Muslim and anti-Latino bigot who threatens to deport 11 million immigrants and build a wall to keep Mexicans out, and Democrat Hillary Clinton, a war hawk who continues the policies of the Obama administration that has heavily militarized the Mexican border and deported over 5 million immigrants over the last eight years. All the talk of a “path to citizenship” has turned out to be a dead-end. Trabajadores Internacionales Clasistas points to a different path, of intransigent class struggle leading to revolution, which is the only way full citizenship rights for immigrants has been won – from the French Revolution of 1789-99 to the 1871 Paris Commune and the 1917 Bolshevik Revolution in Russia. We reprint below a translation of the declaration and program of the TIC. Today up to 15 million immigrant workers, along with our families, reside in the U.S. without the documents demanded of us by the owners of this country. While lacking basic democratic rights, we carry out difficult and often dangerous work for poverty wages. Truly, we are, as Karl Marx wrote over a century and a half ago,wage-slaves. We international workers are treated as scapegoats for all the ills produced by capitalist society. We are labeled “criminals” and “illegal aliens” when we have committed no crime. We are accused of stealing the jobs of U.S. workers when we do the tasks no one else wants to do. We are accused of taking advantage of welfare programs although we are not eligible for any of them. In fact, undocumented workers pay up to 50 billion dollars into Social Security every year, from which we will never get back a single penny. What’s more, many of us were forced to emigrate because our livelihood was destroyed by the free-trade agreements and bloody wars unleashed by the U.S. that beset our native lands. But we aren’t just victims. Major sectors of the U.S. economy depend on immigrant labor. We form an integral part of the working class in this country. We have the power to be the champions of our own liberation, and that of all the oppressed! Various among us have participated in important social struggles, for unionization and against all forms of injustice. We have learned from our own experience that what we need, and what we must organize, is a leadership up to the tasks we face, that is, a class-struggle leadership. In 2012, a group of courageous workers at the Hot and Crusty bakery in Manhattan decided that they could no longer bear their ruthless exploitation, and moved to unionize. After 55 days on the picket line, they won. In 2015, tired of miserable wages and dangerous working conditions, hundreds of warehouse workers at the photography equipment retailer B&H, inspired by the example of Hot and Crusty, launched their own union campaign, scoring another win. But we know that all victories in the class struggle are temporary so long as the system of production for profit remains. Unionize the unorganized! The picket line is the class line – it means don’t cross! We seek to build fighting unions with a class-struggle leadership! For total independence of the unions from the state! In 1886, the International Workers Day, May 1, was established when a workers demonstration demanding an eight-hour workday was attacked by the police, resulting in many casualties and leading to the state’s execution of the workers leaders, the eight Chicago Martyrs. Today, 130 years later, undocumented immigrant workers are required to work 12-hour days and workweeks of 48, 56 or 72 hours, for starvation wages. We won’t take it any more! In 2006 millions of immigrant workers stopped work, reviving May Day in the U.S. We demand a drastic reduction in work hours along with a whopping raise! For day-laborers, without any job security, we fight for aunion hiring hall. We need free, high-quality comprehensive and universal health insurance and health care. At the workplace we fight for union committees with the power to shut down production in unsafe working conditions. Struggle, Win, Workers to Power! We know that every class struggle is a political struggle. In this election year 2016, the Republican candidate fans the flames of racist hate against Mexicans, Arabs and Muslims while he harasses women. The Democratic candidate wants to launch new wars in the Middle East, and is responsible for the 2009 coup d’état in Honduras. Trabajadores Internacionales Clasistas opposes all capitalist parties and politicians. We who lack the right to vote call for the formation of a workers party to fight for a workers government. We Don’t Beg, We Demand: Full Citizenship Rights! In his 2008 election campaign, the liberal Democrat Barack Obama promised “immigration reform.” But eight years later we have nothing. Instead, the Obama government has deported some five million immigrants. The hated raids continue, and tens of thousands of immigrants are locked up in what are really concentration camps. We call for immigrant-worker mobilization against racist attacks, to putan end to deportations, to close the detention camps and win full citizenship rights for all immigrants. March 8 is International Women’s Day, commemorating the deaths of over 100 immigrant women workers in the Triangle Shirtwaist factory fire in New York in 1911, which was the spark for the unionization of the garment industry. Women workers shoulder a double workday, on the job and both before and afterwards in the home, where they are burdened with the responsibility for domestic labor in the family. They are constantly hounded by sexual harassment and unequal treatment. They are even denied control over their own bodies. Trabajadores Internacionales Clasistas fights for equal pay for equal work. Around the world, we fight for free abortion on demand, at the sole decision of the woman. We demand free, 24-hour child care. Along with machismo, homophobic prejudices are a weapon of the exploiting class: every class-conscious worker is duty-bound to defend the democratic rights of gays, lesbians, transgender people and all the oppressed. Black Liberation: Key to Workers Revolution in the U.S. In this country founded on slavery, the oppression of black people has been fundamental to capitalist rule. We immigrants are well aware of how the ruling class seeks to use us against our black sisters and brothers. We have already seen how police murder of black people goes hand-in-hand with the targeting of all immigrants by the repressive forces. The police are the armed fist of capital, racist to the core. We demand: Cops out of the unions! Against racist killings, mobilize the working class! Revolution is the only solution! Asian, Latin, Black and White, Workers of the World Unite! Since the time of the First Workers International, the workers of all countries have had to unite our forces to win. We defend our African, Arab and Asian sisters and brothers against racist hatred! From the Middle East to Latin America, we fight for workers action to defeat imperialist war! From China to Cuba, we oppose efforts to reestablish the rule of capital. As international workers, we have nothing to lose but our chains. We have a world to win!